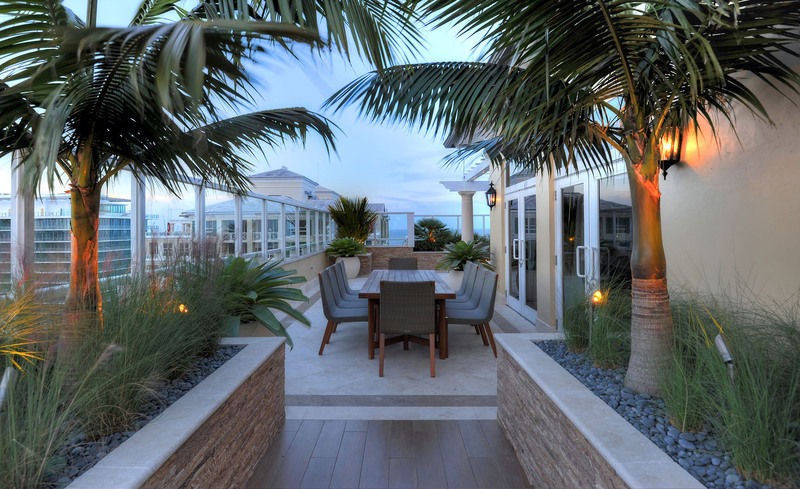 Key Biscayne, FL – Landscape Design Workshop has won a 2018 APDC*IDA Design Excellence Award in the Indoor Garden & Hanging Garden category for their Key Biscayne Penthouse project. This private ocean-front penthouse unit is located on a magnificent island just south of Miami, Florida. 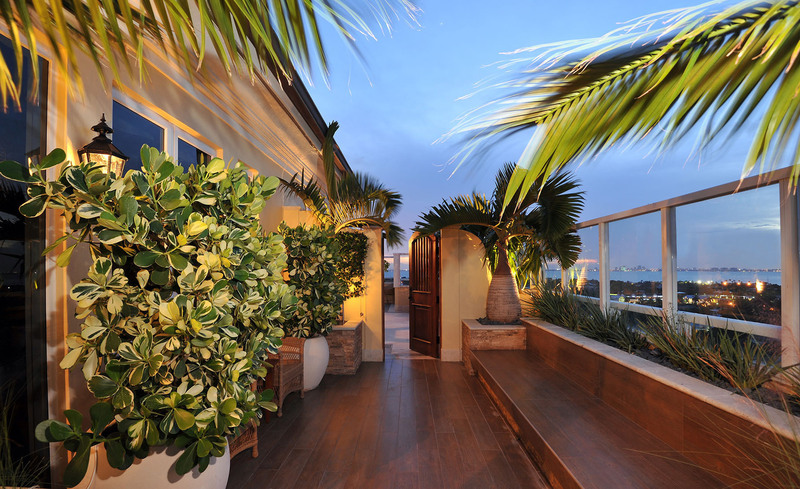 The open-air terrace provides breathtaking views of the Atlantic Ocean and Downtown Miami. The design for this wrap-around terrace creates different zones, both public and private, defined by planting, paving materials and seating arrangements. The planting is a rare collection of specimen plants that are salt and wind tolerant. 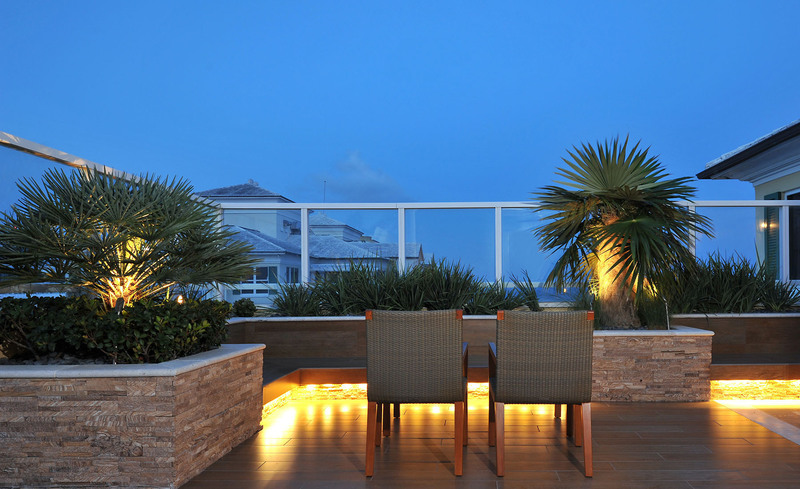 Other materials include natural stone, stainless steel and porcelain wood deck. 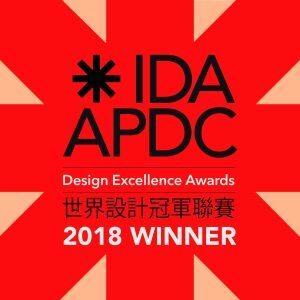 APDCIDA unites the design award program from the Asia Pacific Design Center (APDC) with the International Design Awards (IDA). APDCIDA Design Excellence Awards celebrate the “best of the best” in architecture and interior design. Award winning project must have previously been selected for an award nationally, regionally or internationally. Landscape Design Workshop is an award-winning landscape architecture and planning design studio which specializes in designing communities and residences that feature resort-like amenities and lush tropical character. 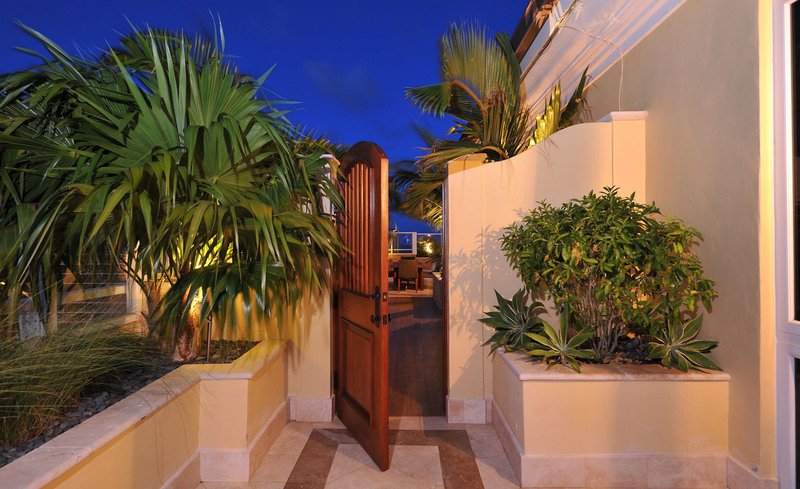 The boutique studio caters to South Florida developers and property owners who seek outdoor living areas for residential, resort or mixed-use assets. 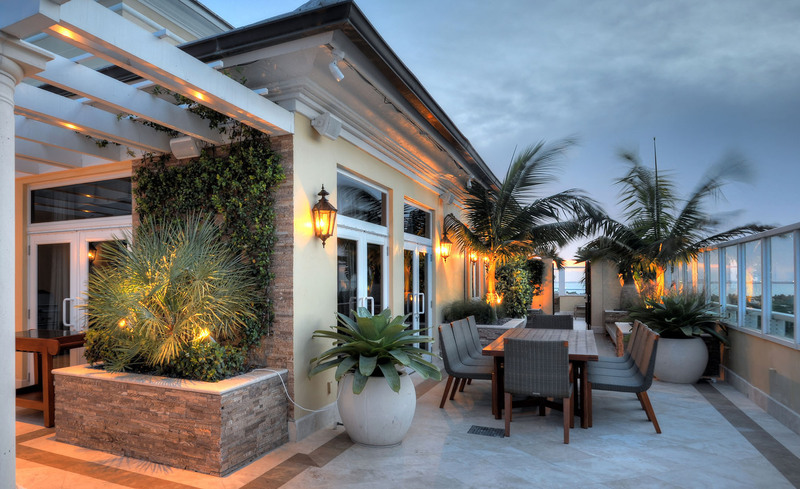 The firm has completed projects throughout Florida, providing master planning, hardscape, fountain & water features, planting, lighting and irrigation design as well as construction administration services. Erez Bar-Nur, founder and principal designer for Landscape Design Workshop, served as Project Lead Designer for the project. Mr. Bar-Nur is a licensed Professional Landscape Architect (PLA). He is also served for 6 years on the City of Boca Raton’s Green Living Advisory Board.